I'll be holding a four-day Buddhist Retreat at Shokakuji temple in Hanno City in Saitama Prefecture, Japan from May 3 to 6 (Friday to Monday) 2019. Instructions and talks at the retreat will be in English. Anyone interested is invited to attend and participate in the full, but not exhausting, schedule of meditation, talks, and meals taken in the traditional style. Beginners are welcome. The quiet, mountainous area around the temple provides a cool and pleasant setting for a brief taste of Buddhist life. 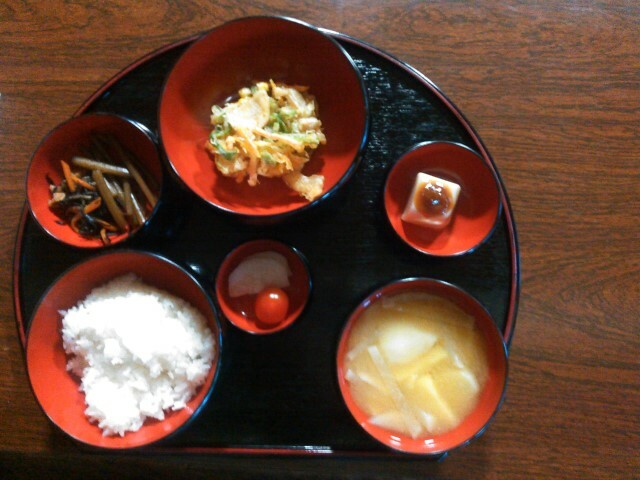 Address: Hanno City, Saitama Prefecture, 357-0111. Cost: 25,000 yen. The cost includes accommodation and meals during the retreat, but excludes the cost of transportation (approximately 1,300 yen one-way from Tokyo) to the temple. Schedule: Click here to download the schedule for the retreat. Clothes etc: Comfortable clothing is recommended for practicing Zazen (sitting meditation). The temple provide all meals and accommodation, but ask everyone going to the retreat to bring their own towel. Deadline: Registration will be accepted at our Saturday classes at Tokyo University Buddhists Association or by email by Sunday April 28. A deposit of 5,000 yen is required to reserve a place. * Anyone wishing to come to the retreat for 2 nights and three days is welcome. The cost will be 17,000 yen. Hanno station is approximately 45 minutes by train from Seibu-Ikebukuro train station on the Seibu-Ikebukuro line. A bus service runs from Hanno train station to Nagou bus stop beside Shokakuji Temple. The bus ride takes about 60 minutes. The total cost for a one-way trip by train and bus from Seibu-Ikebukuro train station to Shokakuji Temple is 1,280 yen (train ticket is 470 yen and bus ticket is 810 yen). Most of the participants will be traveling together from Tokyo to the temple. We'll meet at 9.30 am on Friday morning (May 3) at Seibu-Ikebukuro station, and take a Seibu-Ikebukuro line train bound for Hanno station. After arriving at Hanno station, we'll take a bus to the temple. You're welcome to travel with this group. Click here for directions to the meeting place at Seibu-Ikebukuro station. If you're going to Hanno station directly, you can meet with the group coming from Tokyo at Hanno station at around 10.45 am. 2015 www.zen.ie. All rights reserved.